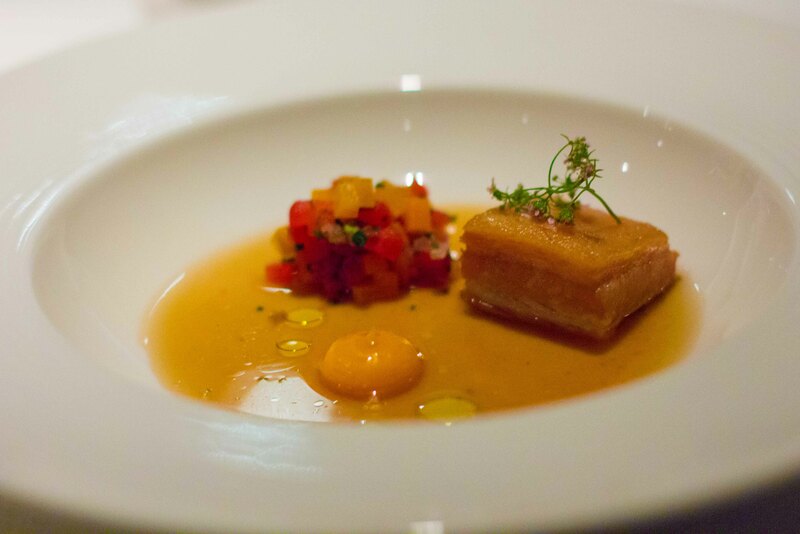 One last big dining adventure in Mexico and it was my hope that I had saved the best for last. 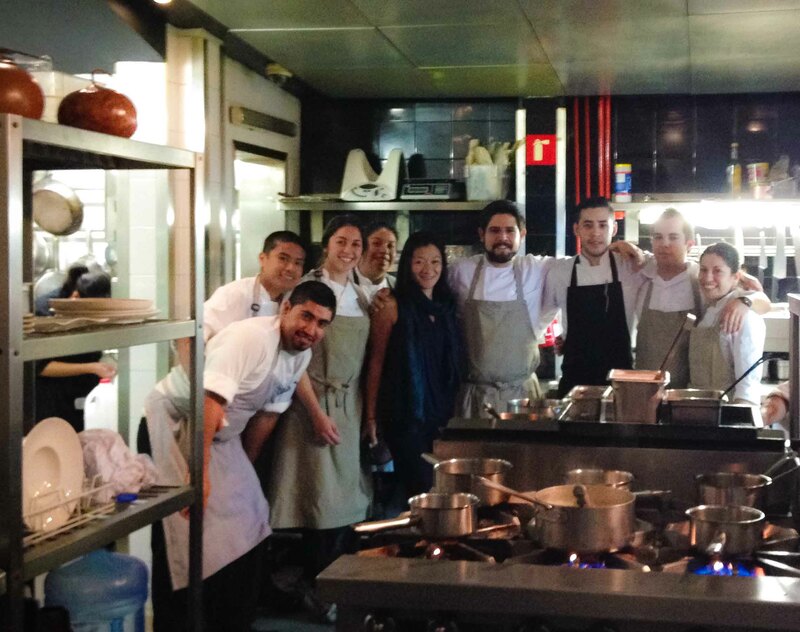 I mentioned in my last post, that my layover in Mexico City was based on The World’s 50 Best Restaurants list’s naming of 2 restaurants in Mexico City, but I admit, I have been curious about Pujol and Chef Enrique Olvera for a few years now. 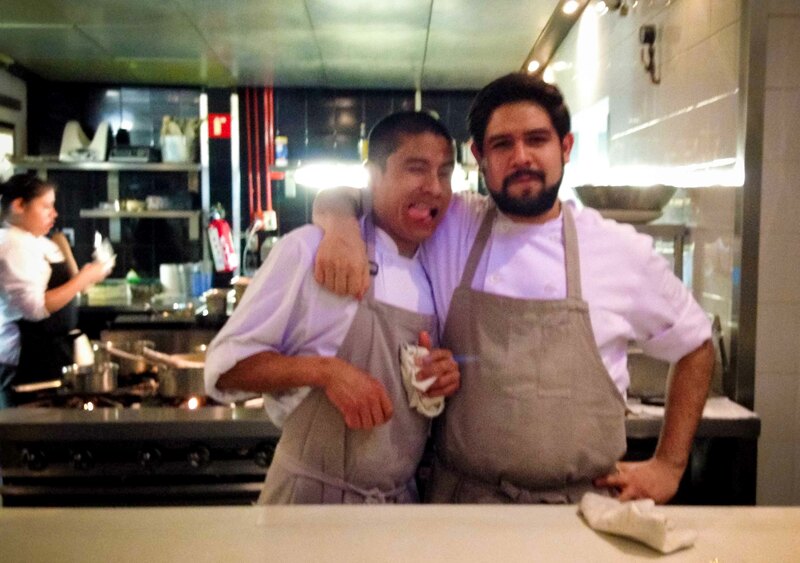 It’s felt like Chef Olvera has buzzed “my feed” for a while. From appearances at both the Mad Symposium and Cook it Raw, to organizing Mesamerica, which has become Mexico’s premier food event and draws “the best chefs” from around the world, I can’t go a few days without seeing Chef Olvera’s name being mentioned. Well probably doesn’t help that I follow him on Instagram as well. 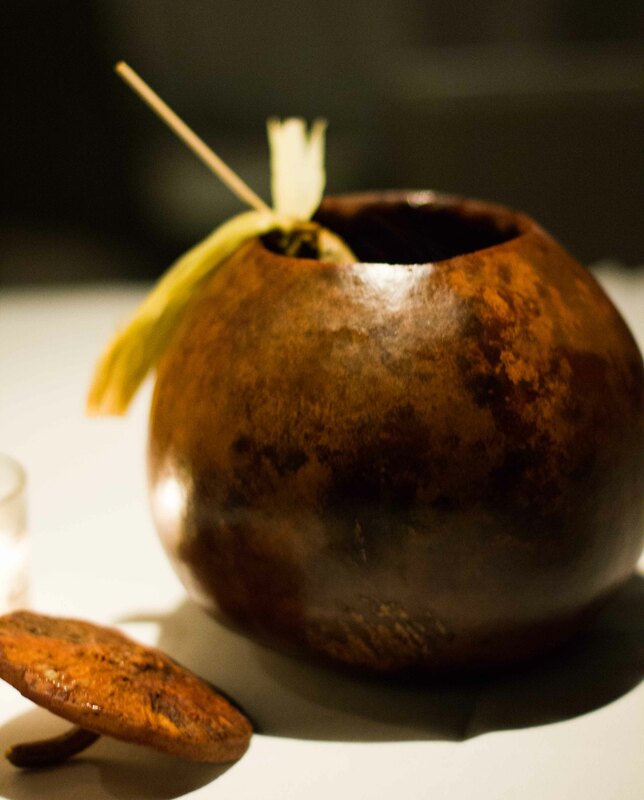 After my evening at Biko the night before, I had questions about the whole World’s 50 Best ranking and what each placing meant. 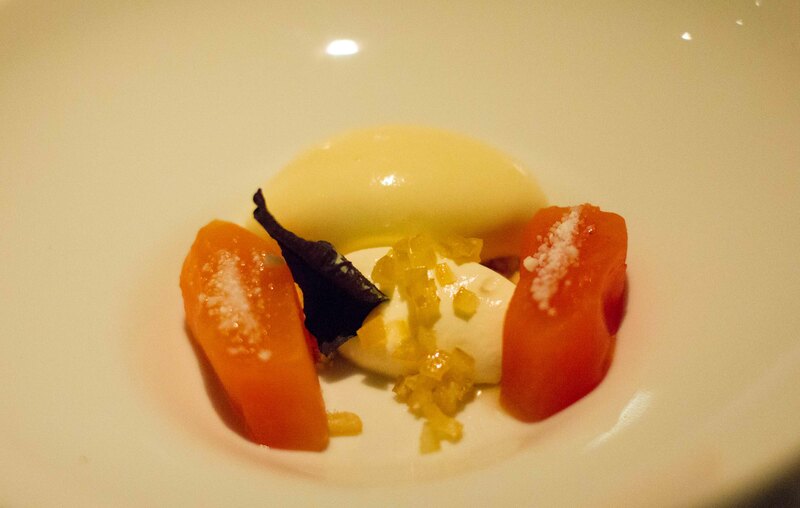 Even more interesting, was that Pujol this year sits at #17, right in the middle of Alinea (#15) and Le Bernardin (#19) which have given me 2 of the best meals in my life. 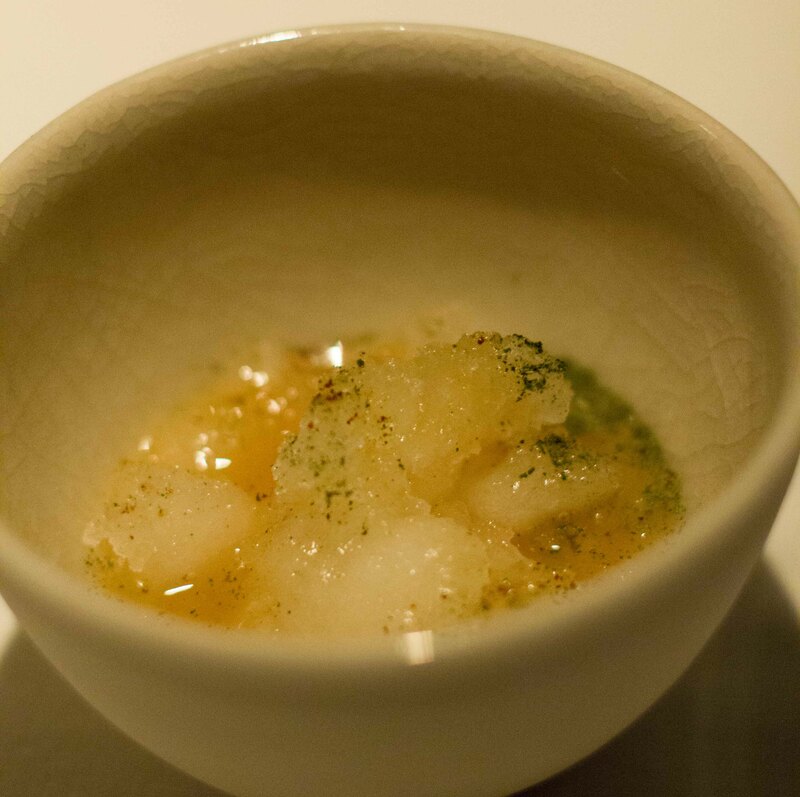 Unlike my preconceived knowledge leading up to dining at both of those restaurants above and very unlike me, I did almost no advance work before my meal at Pujol. What I did do in advance, was a dry run on the route that I’d use to walk to Pujol later that evening. In my effort to convince everyone I was being a safe traveller, I thought it would be smart to make sure the route kept me along the safe streets within the neighbourhood I was staying in. 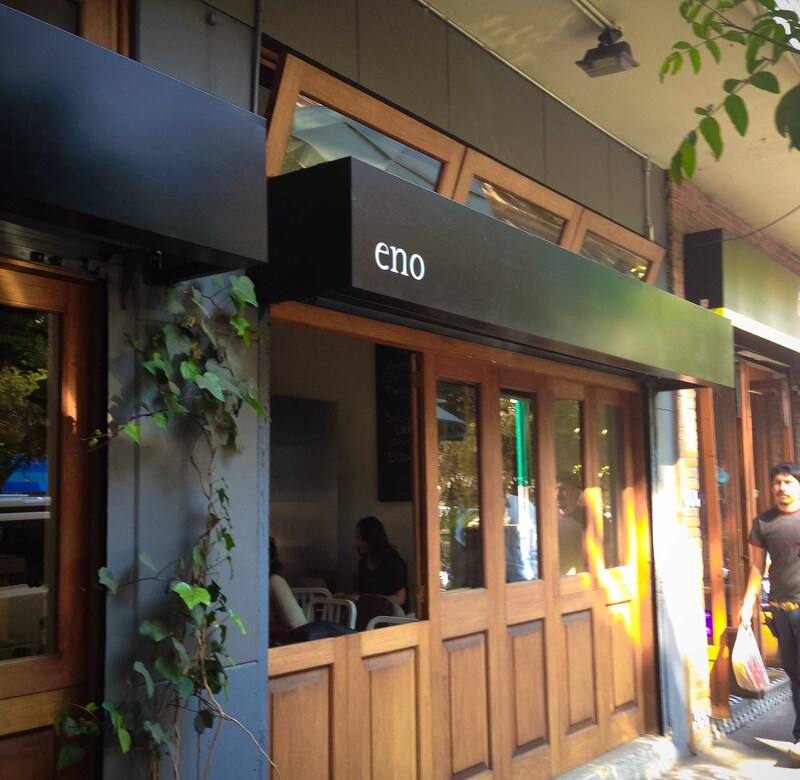 Luck would have it, it also gave me the opportunity to eat lunch at Chef Olvera’s cafe, Eno located 2 doors away from Pujol. 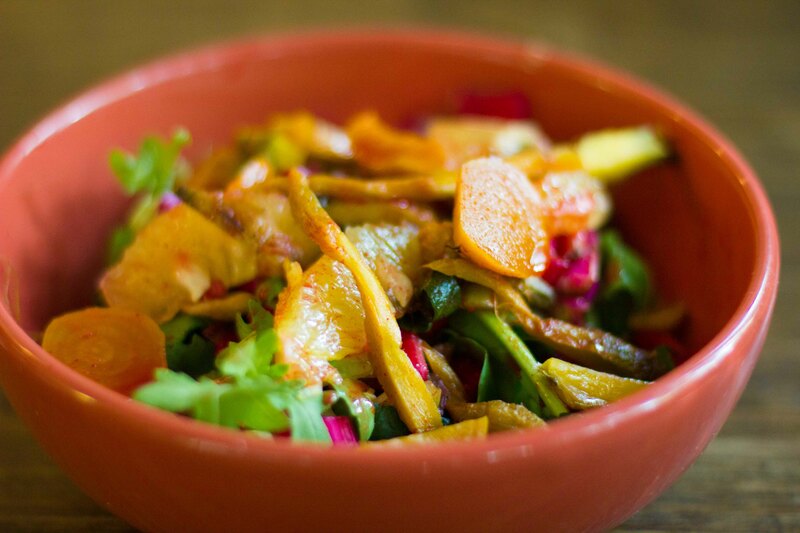 A salad of root vegetables with beets, carrots and radishes – brightly dressed and tasting fresher than anything I’d had in a long time. 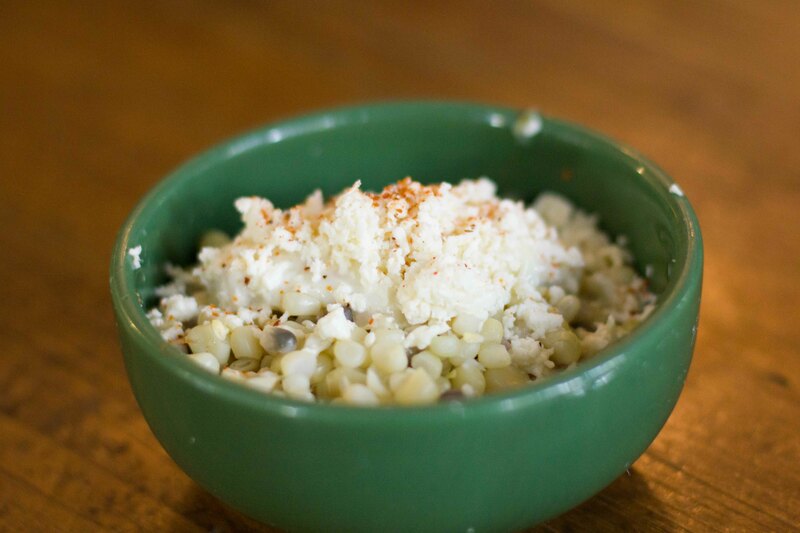 Not being able to order it off the street anymore, I had this “sanitized” version of esquites made with 3 types of corn. With my pre-trip complete and a simple pre-meal in my belly, I was wandering back to my hotel for a pre-meal nap. Funny enough, in a city of close to 9 million people, I just happened to run into a friend from Oaxaca who was in Mexico City for the day for business. 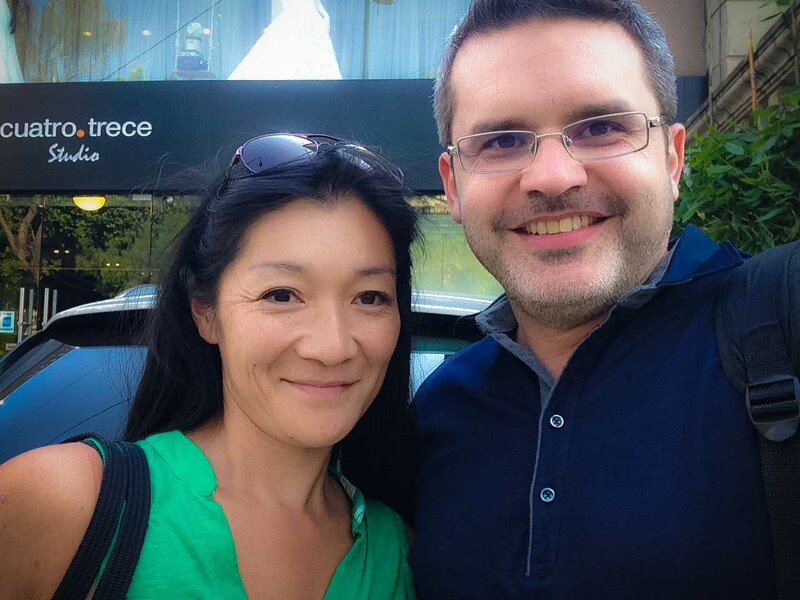 It was such a coincidence to collide with Kyle from Cafe Brujula in Oaxaca that we had to take a photo. A post from my afternoon with Kyle at Brujula will come soon! Nap complete, it was time to start anticipating my meal at Pujol. I had a very early flight home the next morning, so I made a reservation for 7:00pm. I don’t think I’ve ever personally chosen to eat a meal so early before. I was a bit worried that if my experience at Biko the night before was any indicator, I’d be sitting alone at Pujol the entire meal. Nothing to worry about, as I entered Pujol and was graciously sat, (at the bench again), I found myself looking out at a packed dining room. I gave myself but a moment to compare (because I hate comparing), and quickly noticed that Pujol was at a totally different level than Biko. 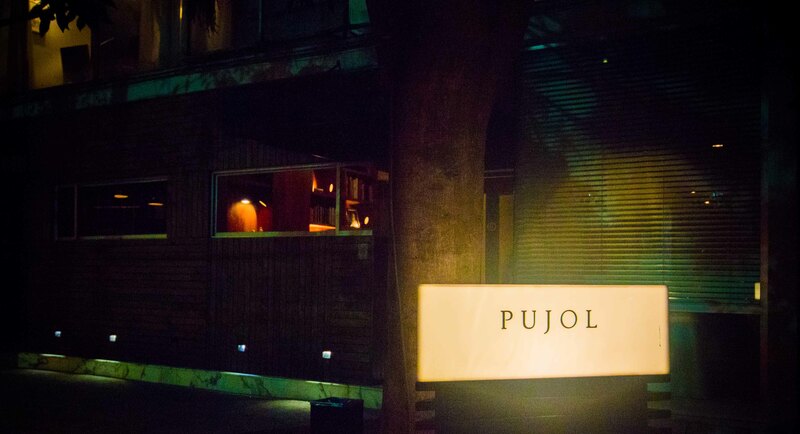 Pujol was buzzing, with mostly with non-Mexican diners (probably only non-Mexicans will eat that early), and because of this, and what I came to find as an early indicator of the difference between being #17 in the world as opposed to #31, most of the service staff spoke perfect english. 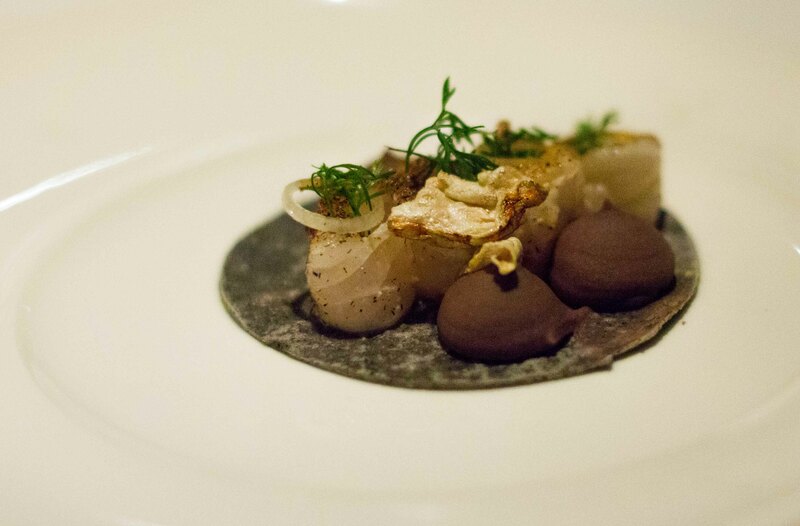 The tasting menu at Pujol comes with many choices. I was handed the menu and walked through entire meal course by course. Where there were multiple choices in specific course, all were explained. It was a bit of an overload and I became confused with what was being offered. I also wished that I wasn’t dining solo, so that I could experience more of the menu. In the end, I made my choices almost blindly because it was my hope that whatever I chose would be amazing. I was eating at the #17 best restaurant in the world after all. In terms of drinks, I worked with the sommelier throughout the meal as I was seated next to the wine cooler so I had ample opportunity to interact with him. I indulged in 3 wonderful wines from Mexico that complemented the courses I was working through. 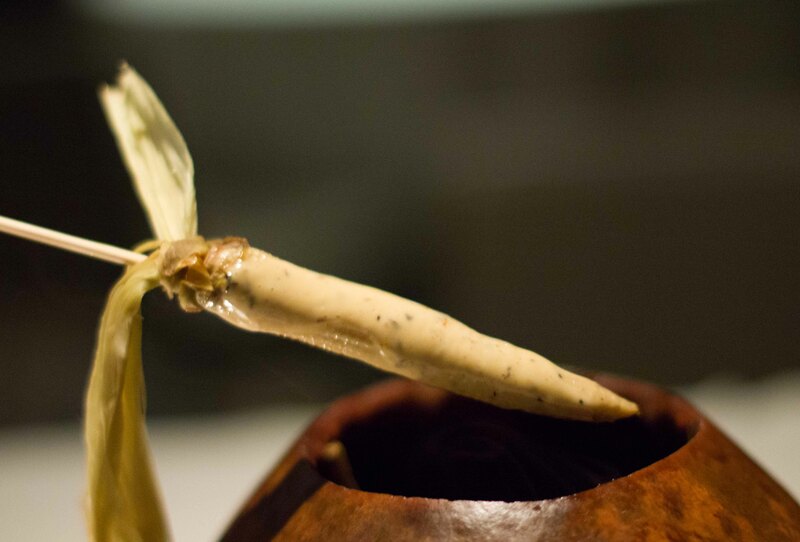 The meal began with the Olvera’s signature presentation of a hollowed out gourd, with smoke wafting out of the lid. Elote con mayonesa de hormiga chicatana, cafe y chile costeno – a tribute to street corn (that I’m no longer allowed to crave), this baby corn is coated in coffee mayonnaise and dusted with ant powder. The flavours seemed so familiar but presented so uniquely. I could have eaten 10 of these and called it a meal. Aguachile de semilla de chia y aguacate – Aguachile with chia seeds and avocado was so delicate but made me a bit wistful as I wished that avocados at home could be so delicious. 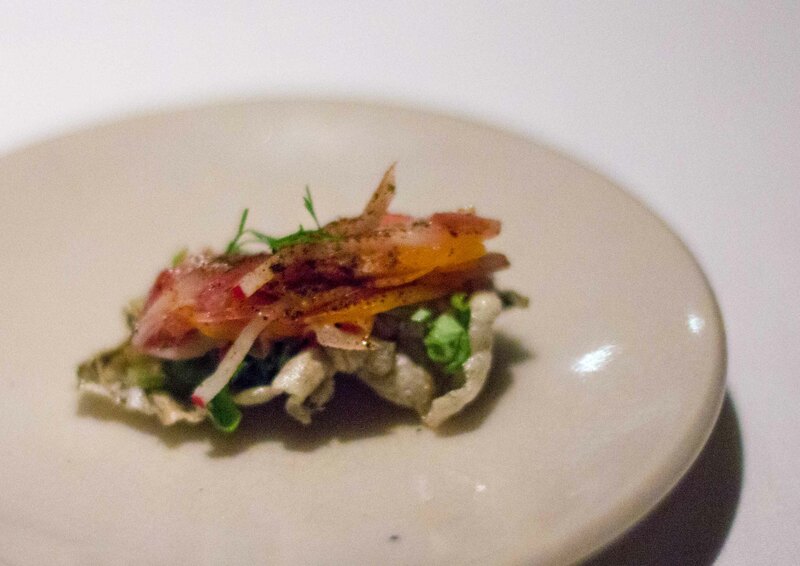 Chicharron de pescado, careta de cerdo, lechuga, rabano, cebolla mirada – Blue corn tostadita made with fried fish skin and used as a base to deliver a pork with lettuce, radishes and onions. 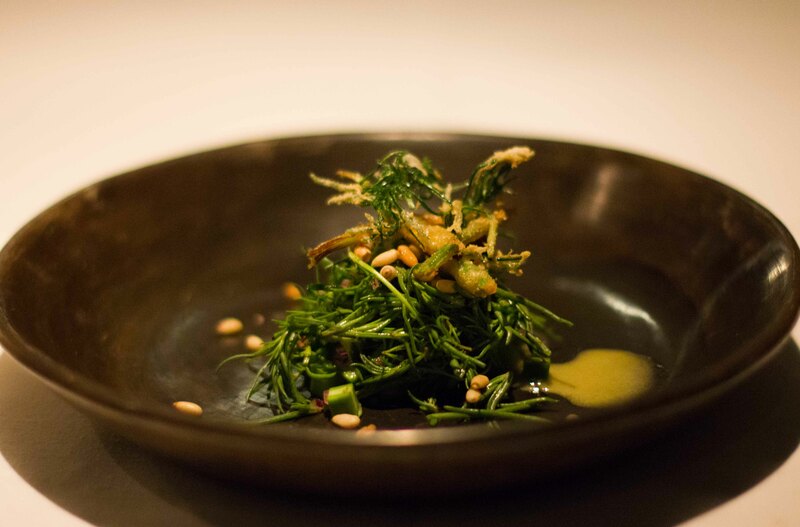 Ensalada de romeritos, habas, tallo de cilantro capeado, aderezo de piel de pollo – Rosemary salad, fava beans, coriander stem, chicken vinaigrette. Yes it sounds weird but was light, bright and a wonderful salad. The beauty of this taco was surprise you got when you picked it up. 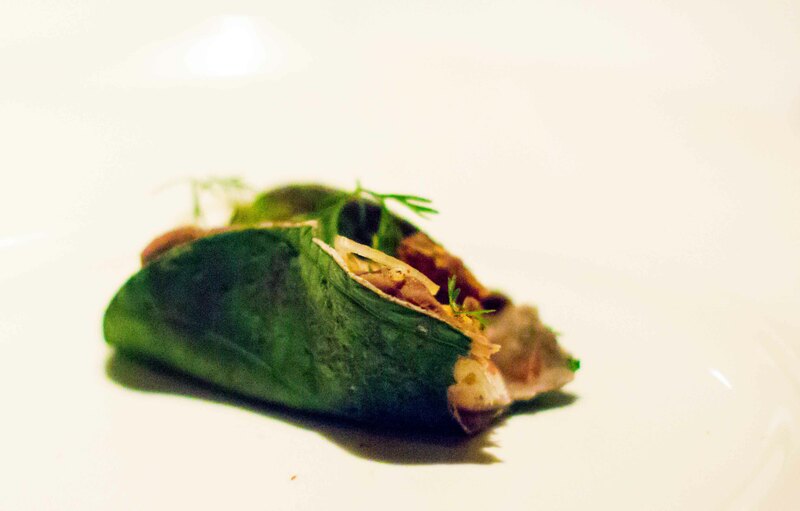 The punch of bright green hoja santa leaf layered underneath the tortilla was a visual delight. 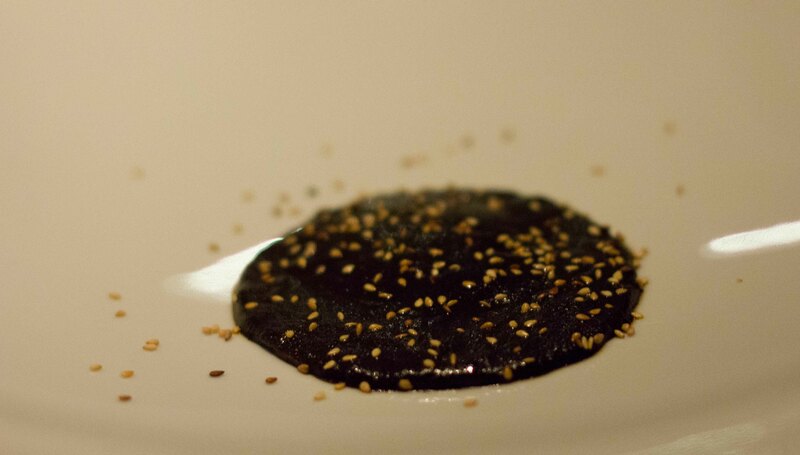 Mole madre – a complex mole hundreds of days old smeared on top of a tortilla and topped with sesame seeds. I’ve tasted more than a few moles in my life and this was sat well beyond as the most complex in flavour. They call the sauce “living” and I understand why. 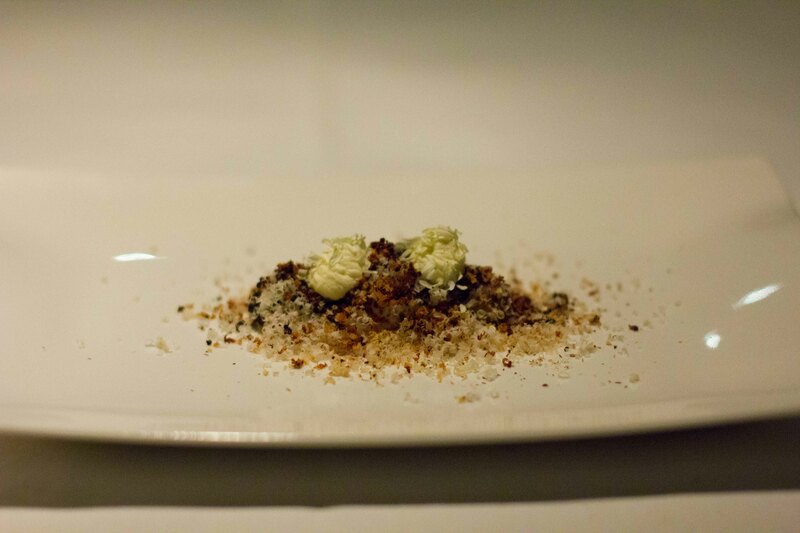 Platano fermentado, macadamia, vinagre de platano macho, pelatos de flor de manzanilla – fermented banana, macadamias, plantain vinegar and chamomile petals. I watched Olvera’s presentation at a Mad symposium on fermented bananas afterthefact. 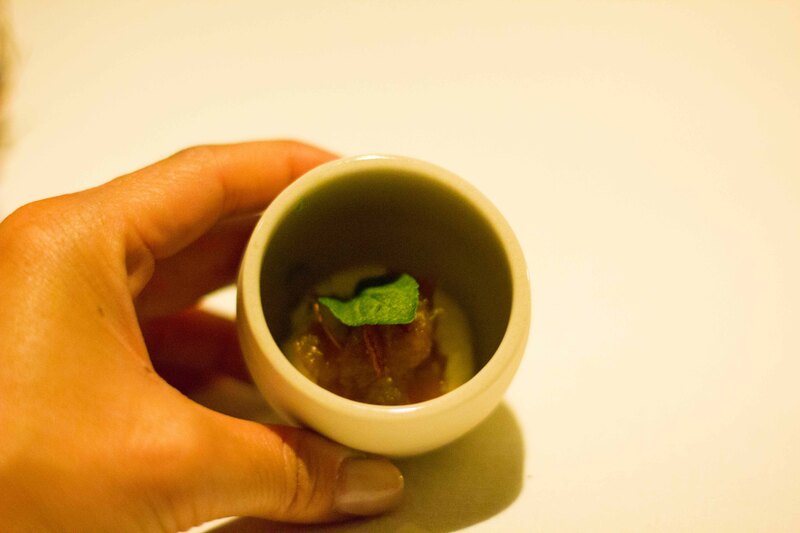 The complex flavours of the fermented banana were so engrained in my memory that as I watched the presentation it brought me back to the moment of this dish. Infusión de pelos de elote, lima y anís estrella – Infusion of corn hairs, lime, and star anise. 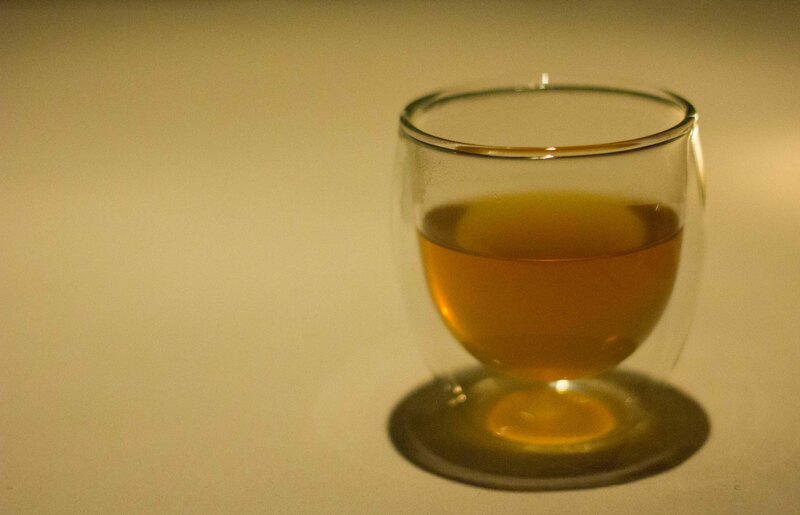 This curious “tea” tasted as described, like corn silk. At the end of my meal, I asked if the Chef was in the kitchen. I was told no, but if I wanted to still have a peek in, I was welcome to. Ummm, of course I’d take them up on that! As I went in, I gave up my phone and some of the cooks in the back started taking goofy photos of themselves and taking candids of me. 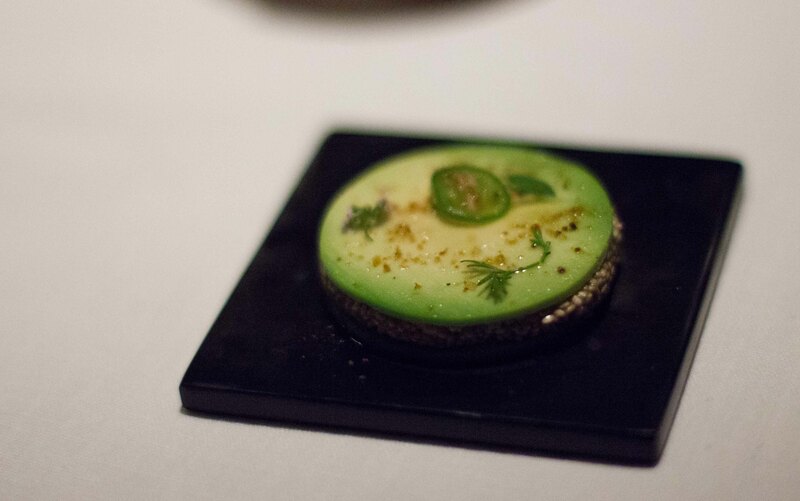 Having eaten an extraordinary meal at Alinea, and merely enjoying a meal at Pujol,…but not experiencing the same rapture, I’d have to agree. 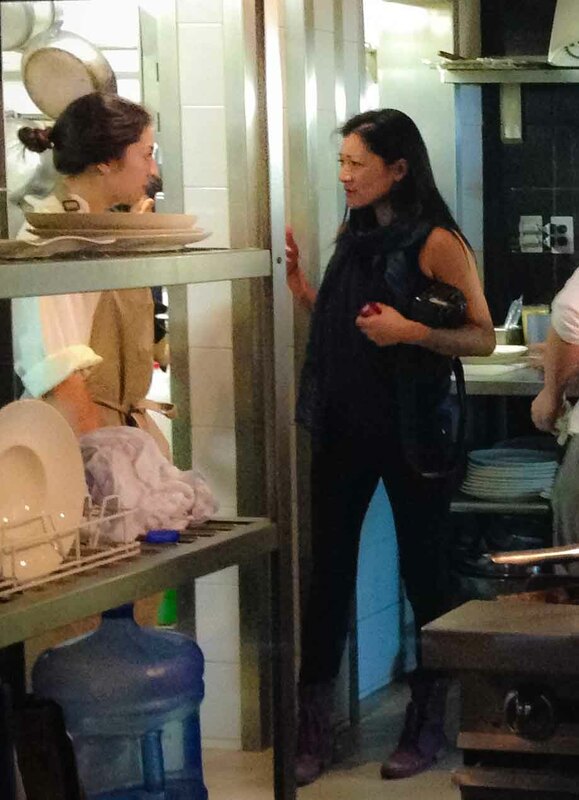 But it’s so subjective – any chef can have an off night. The “best in the world” rankings seem a little demeaning, actually. I personally would rank Casa Oaxaca among the very best. But, that’s me. Previous PostPrevious Biko, ranked #31 in the World?